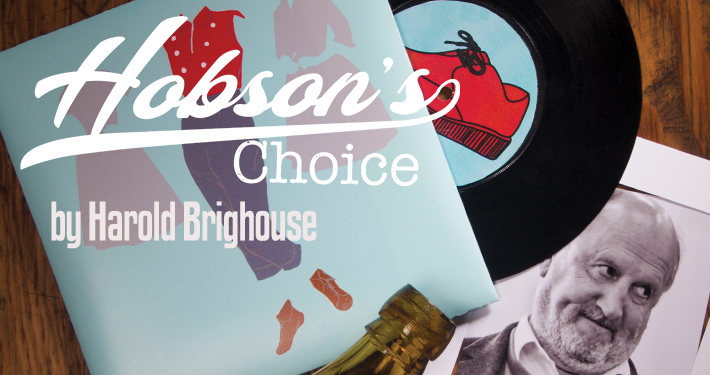 Matthew Townshend Productions presents a sparkling revival of one of the great classics of British Theatre, Harold Brighouse’s immortal Lancashire comedy Hobson’s Choice. This fresh new production relocates from nineteenth century Salford to the year 1958. Rock and roll may have arrived, the youth revolution may be just around the corner, but in Henry Horatio Hobson’s shoe shop Queen Victoria might still be on the throne. John D Collins, best known for TV’s smash hit ‘Allo! ‘Allo!, plays Hobson. New songs by upcoming musicians Ben Goble with the Lockerbillies (Glastonbury 2017) echo the sounds of the time, from skiffle to Presley and from Doris Day to Jerry Lee Lewis. And with the voice talents of Lucy Robinson (Best Exotic Marigold Hotel, Bridget Jones: The Edge of Reason) as Mrs Hepworth. Previous tours from mtp include Salad Days, Tomfoolery and Noel and Gertie. Hobson’s Choice is presented by special arrangement with Samuel French Ltd.
the Jack directly. Study resources are also available from the company on request. Music by J.S & The Lockerbillies. Production images by Peter Clark. Greta Harwood, Kelly Aaron, Rhiannon Sommers, Connor McCreedy, John D Collins, Matthew Townshend, Michael Brown, Sian Rees, Connor McCreedy, Natasha Cox, and Lucy Robinson as the voice of Mrs Hepworth.